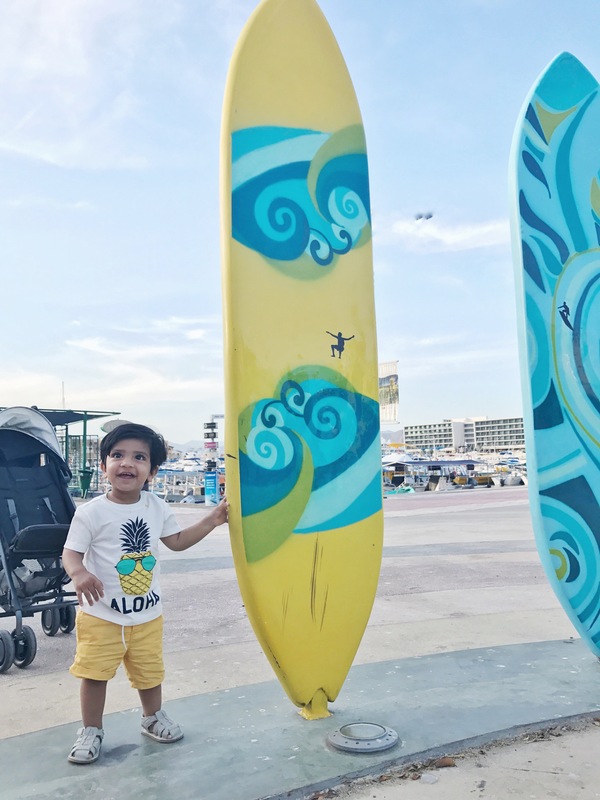 This trip was our 14 month old son’s first official summer vacation. Some of my favorite memories were made in this past 1 year travelling with our son. The funny incidents, the little mishaps, the closeness shared and so many other lifetime memories have been made on our getaways. Vir started travelling in flights since he was 3 months old. His first trip was to New York, followed by India, Switzerland, and Amsterdam and recently to Mexico. Our little one has already been to 4 countries in this past year! 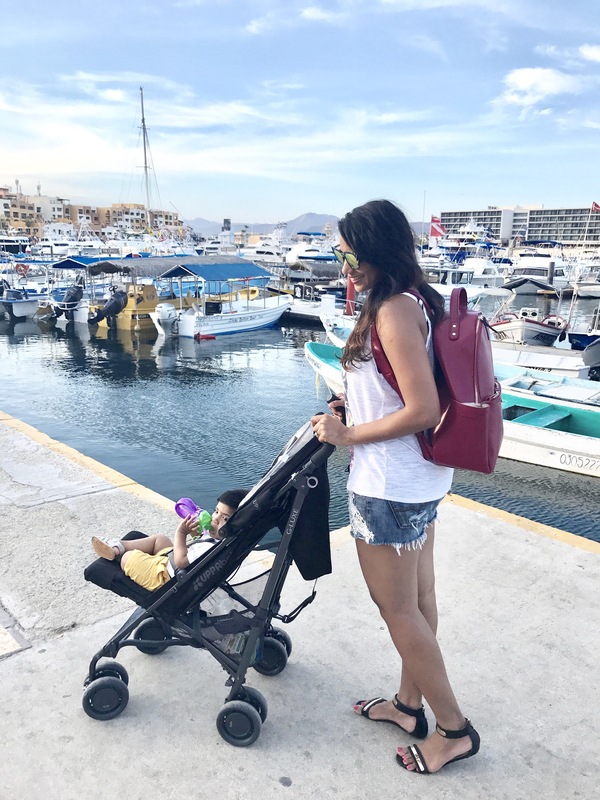 Travelling with a baby/toddler to any destination needs a lot of planning from packing, scheduling flights around their nap time, flexibility of stay, meal preps at the destination and things to do with a little one. Through my past travel experiences I am constantly learning and getting more and more comfortable with it. 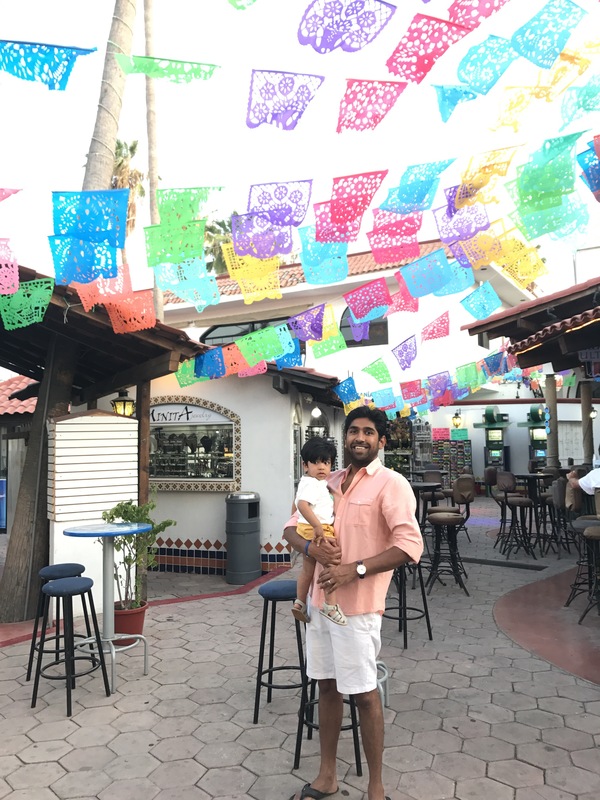 So this time for a short getaway we decide to go somewhere close to Texas .Los Cabos, Mexico has long been known as hot getaway for honeymooners, sport fishermen and spring breakers. 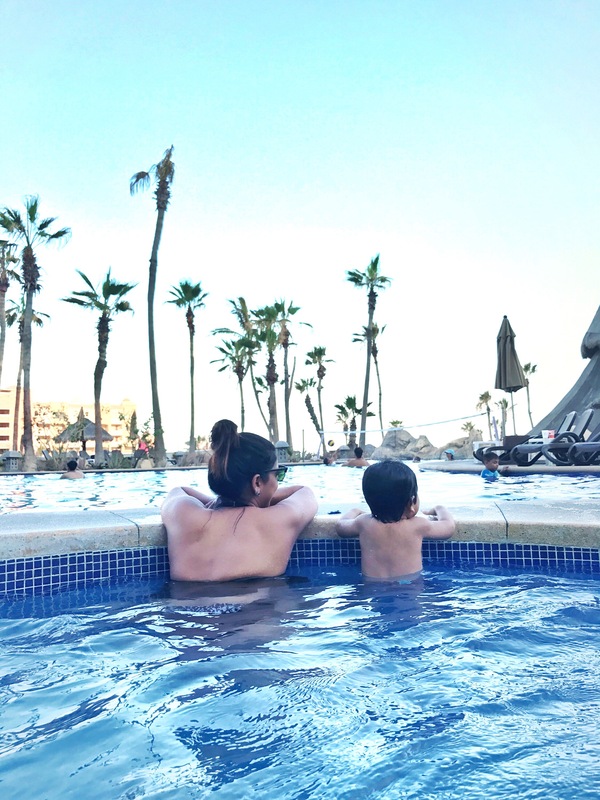 The truth of the matter is that this sunny destination at the tip of the Baja Peninsula also makes a fantastic getaway for families. The price of a family vacation doesn’t have to break the bank. Cabo, all-inclusive resorts abound, and many of them offer very reasonable rates and promotions. It was the perfect destination for us from the point of flight duration, pricing, length of stay and activities with a kid. I’d love to share a few anecdotes and photos, if you’d like to see. Enjoying our time in the pool ! We had some beautiful views on our 2 hour catamaran ride. We saw a lot of sting rays jumping out of the water. In the end, of course, our vacation or, as my friends put it, our “relocation” was filled with many lovely moments. Our son learned how to say a few new words; he danced in front of a live Mexican band; he fell asleep on the beach under the shade, took a catamaran ride with us and watched the sunset .He kept waving to so many people at the resort while eating his meals and enjoyed all the attention.On the flight he slept most of the time or was busy in his books and toys. When he started to fuss and was restless to get out of our laps, we had to finally use the iPad to calm him down. I spotted a baby, no more than a few months old on the flight sleeping calmly in the baby carrier and whispered to my husband. “Remember when Vir was so small ?”. “I miss those days,” I said, already sure that, in just a few years, I would be saying the same of these. Also for any parents travelling with kids on long haul flights and other countries , read here for advice from a Pediatrician. 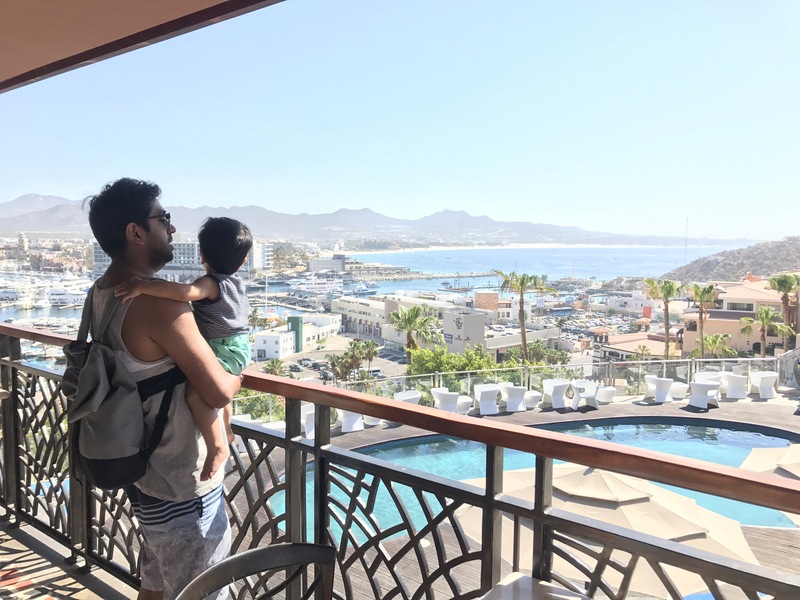 We had an All inclusive stay at Hotel Sandos Finisterra in Los Cabo and travelled by Spirit airlines. I always look for deals on Hopper.com for flights and for hotels on Hotels.com. I recommend checking reviews of the location before travelling to any destination on Tripadvisor. As a new parent we have so many questions and fears about travelling with our children for the first time. 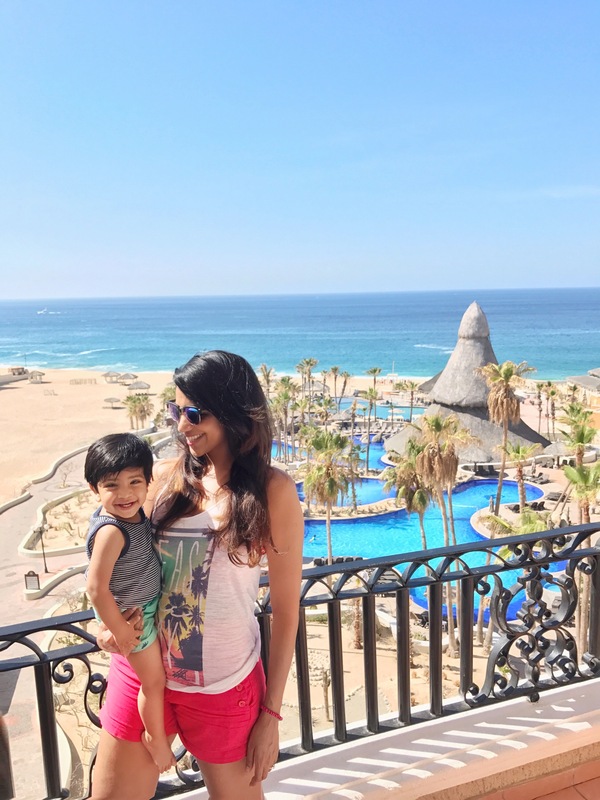 After travelling with my son to India on a 30 hour one way journey for a 2 week vacation, I now know that vacation or travel plans are not as easy as they were pre baby. And while there are tons of tips on how to get there, there is not much advice for how to manage once you arrive. 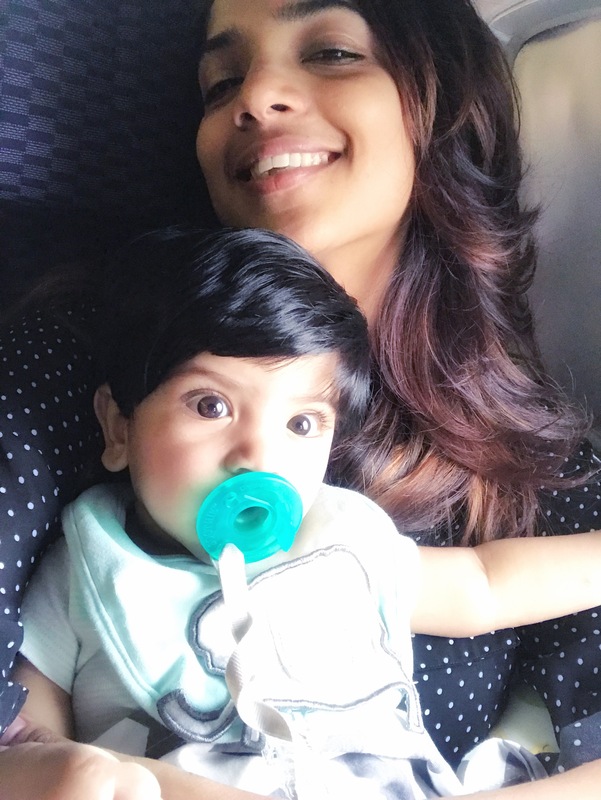 In my last post How I survived a Long Haul flight with a Lap Baby I discussed my inflight experience/nightmare and shared some tips. And now, in this post we will be discussing on concerns related to our children’s health once you arrive to your destination. Infants are at high risk for many food related and waterborne illnesses. This is not because they are travelling to India or any other country. It is simply because their immune systems are not developed. This post discuses some of the practical issues faced by us on our trip to India. 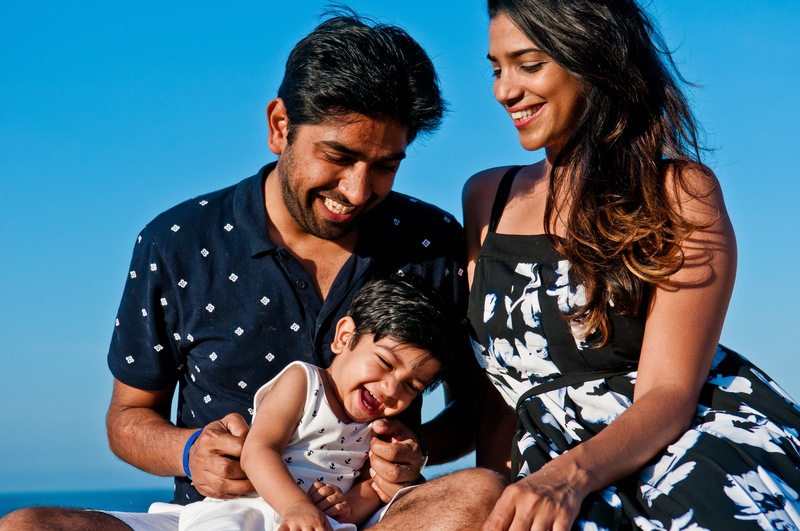 I reached out to Dr. Abha Sharma a General Pediatrician and an IBCLC (International Board Certified Lactation Consultant) to talk more in details about precautions and measures parents can take while travelling to a new country with their child. 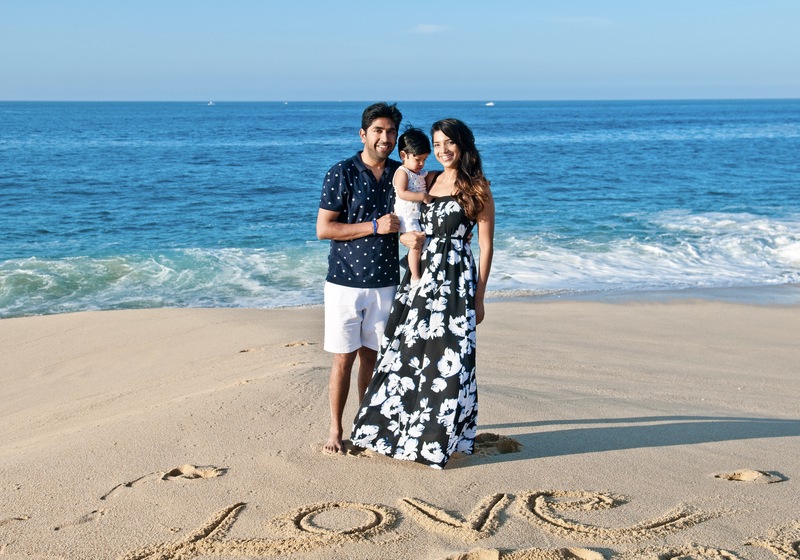 Dr. Abha practices and resides in Southern California with her Husband and 2 year old Daughter. I am very thankful that she was able to take out some time from her busy schedule to attend to this list of questions and give us advice on how to prepare ourselves and manage our kids while travelling overseas. Follow her journey on Instagram @healthymamadoc for some great tips and advice on healthy and nutritious meals. My hope here is to help all my readers with vital information of caring for their child’s health while travelling abroad . What is a good age to make a long distance travel? Newborn babies and young infants have developing immune systems and are more susceptible to becoming ill from diseases spread by cough and sneeze. I usually recommend that parents wait until their baby is at least 2 months old to travel – waiting till 6 months is ideal. The Centers for Disease Control (CDC) strictly cautions against travelling with a newborn younger than 48 hours old; most airlines prohibit babies younger than 2 weeks old to travel without a Physician’s clearance. What medications do your recommend to carry, to avoid catching cold and flu in flight. It has been thought that secondary to recirculated air and limited ventilation in a confined area over a long duration of time, airline passengers have a potentially higher risk of infectious diseases. But, the good news is that one study by the World Health Organization (WHO) suggests that because the spread of infection is usually by direct contact, the risk is no different than that if you were travelling by train or bus. If you have an older infant or toddler and are travelling by plane, make sure you carry non toxic sanitizing wipes with you. Germ laden surfaces such as the tray table and arms rests should be wiped down frequently – your little one may want to lick and chew on these repeatedly! Most OTC Cough and Cold Medications are labeled for use in children above age 6, secondary to the potential for serious side effects and overdose. Sticking with your little one’s regular diet, keeping them hydrated, and nursing them if you breastfeed, will help prevent illness and help them cope should they come down with the sniffles inflight. Three items that I would definitely recommend parents take with them when they travel is a Rectal Thermometer, Fever Reducing Medication, and Powdered Packets of Oral Rehydration Solution (i.e. Pedialyte). For fever, stick with Acetaminophen (Tylenol) prior to 6 months of age, and after they cross 6 months you can use Ibuprofen (Motrin) as well. Consult with your child’s Physician regarding safe dosing of these medications. Is giving Benadryl recommended to help the baby sleep? It is not recommended to give Diphenhydramine (commonly marketed as Benadryl) to children for the purposes of the side effect of drowsiness. Diphenhydramine has the potential to cause several side effects in children, the most serious being overdose and allergic reaction. Strict attention should be paid to hand washing and cleaning bottles, pacifiers, teething rings, and toys that fall to the floor or are handled by others. The water used to clean these items should be drinkable water. 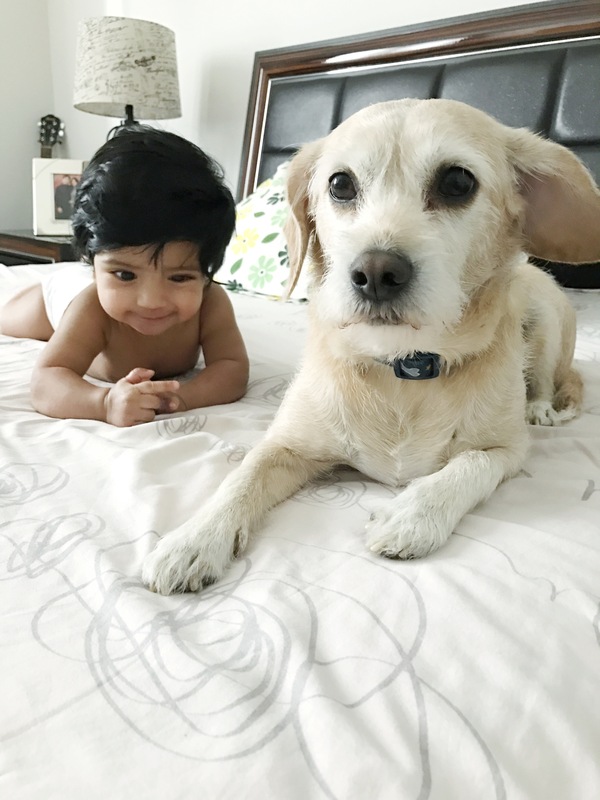 Parents should be particularly careful to wash hands well after diaper changes, especially for infants with diarrhea, to avoid spreading infection to themselves and other family members. When handwashing facilities are not easily available, an alcohol-based hand sanitizer (containing ≥60% alcohol) can be used; hands should be then washed with warm water and soap for 15 seconds as soon as possible. Hands that have visible soiling are preferably washed right away. 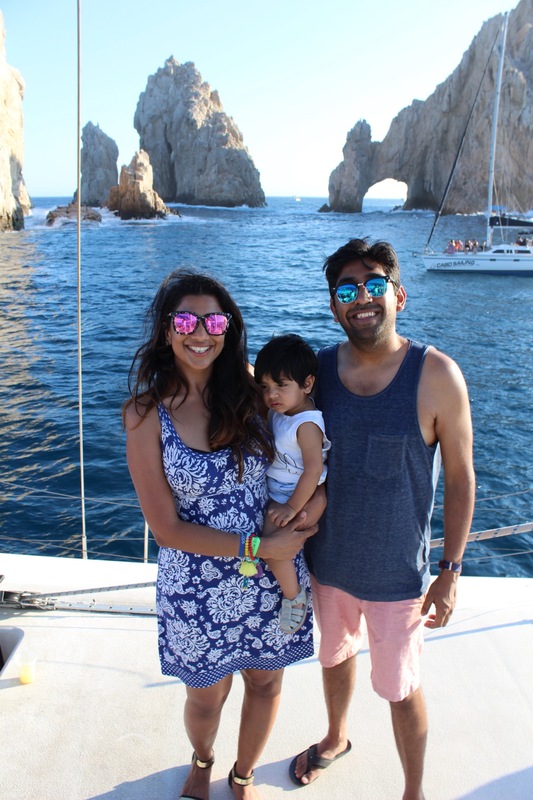 Dr. Abha Sharma with her beautiful family. Is it important to get the child vaccinated for travel like for Malaria? At what age do you recommend it? Malaria is a disease contracted from mosquito bite in an area endemic to this disease. To prevent transmission, the first step is to identify if you are travelling to an area with a recent outbreak. The website Cdc.gov/travel and your Pediatrician or Family Physician are great resources to assist you in this. Your Physician will determine if it is recommended for your child to take medication to prevent transmission of this disease. Wearing lightweight clothing that covers the arms and legs, and wearing socks. Mosquito repellents used on skin can also be applied to clothing; it must be reapplied after laundering. Apply lotion, liquid, or spray repellent to all exposed areas of skin; reapply frequently. Don’t offer your child food from street vendors, and stay away from food prepared and served in unclean conditions. Raw or under cooked meat should be avoided. All raw fruit and vegetables should be washed, peeled and cut by you before offering it to your child. Safe beverages include bottled carbonated water, boiled water, and water treated with chlorine or iodine. If your infant or toddler is formula fed, I do recommend packing more powdered formula than you anticipate you will need. The constitution of formulas abroad may not be the same as the one you regularly use. Additionally, pack plenty of dry snacks that you normally keep at home; if your child is picky they may not like what is available locally. How to handle breast feeding strikes while travelling? My son stopped breast feeding completely in India. I tried to feed him in the night. Once we were back in US, it took him over 2 weeks to get back to his normal feeding schedule. A nursing strike during or after travel is not an uncommon issue – you can maintain your milk supply AND eventually get your baby back to the breast. During the strike, pump or hand express the milk at the same frequency as you would breastfeed. This helps maintain the supply and prevent infection; this expressed milk can be fed to your baby. Nurse the baby during the night or while napping – babies who refuse to nurse when they are awake will most often nurse when they are sleepy. Switch up the position you use to nurse. Rock your baby or walk around while nursing. Nurse in a quiet, darkened room. Keep the baby close to you in a sling or carrier in between nursing attempts. How long do infants, toddlers generally take to get over jet lag? What is the best way to help overcome jet lag? Vir took over 10 days to get over jet lag . In general, count one day for each time zone crossed to give you a rough estimate of how long it may take your little one to recover from jet lag. Of course, direction of travel impacts recovery time – eastbound travel, i.e. from the New York to London, may be prolonged in comparison to your westbound return trip. In order to reduce jet lag, adjust your child’s sleep schedule 2-3 days before departure (Some sleep medicine experts recommend doing this upto 4 weeks prior to the trip). After arrival, encourage your child to be active outside or in brightly lit areas during daylight hours to promote adjustment. When returning back from a trip, the same applies – make a trip to the park as soon as you can after reaching back home. Any other recommendations you will like to give to new parents travelling long distances with babies for the first time ? Discuss your travel plans with your doctor at least 4-6 weeks prior to your trip, so as to allow any preventive medications that are prescribed to be effective. Review your child’s immunizations with your doctor, and make sure he/she is up to date with the recommended immunizations necessary for their age. Other immunizations, including those providing protection against Typhoid fever, Bacterial Meningitis, and Japanese Encephalitis, may be recommended depending on your destination. Ear pain can be an issue for infants and children during the plane’s descent and landing Pressure in the middle ear can be equalized by swallowing or chewing. You can nurse your little one, offer them a bottle to drink from, or for your toddler, a chewy snack. Lastly, if you plan on using your child’s car seat on the plane, make sure it is approved for use. Children weighing between 22 lbs and 44 lbs can use an approved restraint system called the CARES Child Safety Device. I definitely learnt a lot from this interview with Dr Abha. I am SO glad that she was kind enough to accept my email and request to collaborate on this post. Thank you once again Dr Abha for your advice!!! We both hope that this post truly helps all the new parents and parents to be, who are excited to travel with their new born babies. Good luck and safe travels!! You can also follow Dr Abha at her social media accounts on other Twitter and Pinterest. I have traveled a lot since past few years for work and leisure. However, in 2016 due to my pregnancy and childbirth my travel plans were restricted and I ended up staying back home for more than half of the year. This is something that has bothered me for last couple of months. 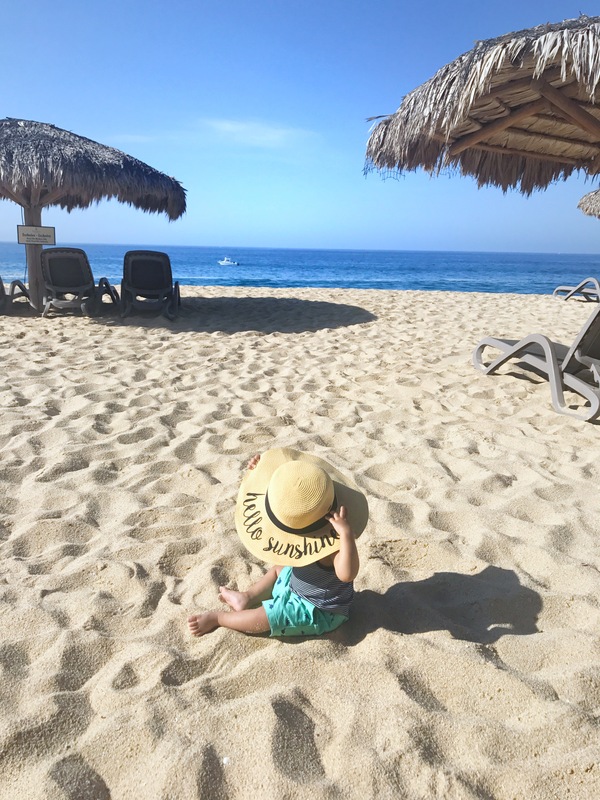 Cancelling our “Baby-moon” to Belize in March 2016 due to the outbreak of Zika virus was one of the my biggest disappointment, since I was really looking forward to our last couple vacation before the baby comes out. Moving forward, post my maternity leave and once Vir turned 3 months I only traveled for important work meetings to New York, Dallas and Los Angeles last year. In fact Vir flew for the first time with us to New York in August. I was really nervous of flying with a 3 month old but gladly it all went well and gave me the courage to fly with a baby. Check our my previous post Tips for Travelling With a Baby. There are several reasons I love my job and one of those is I get to travel and break the monotony of working from home. I was recently informed that I needed to travel to Thailand for a work conference in Dec 1st week !! This was an amazing opportunity and I was thrilled to pack my bags and get on that plane. Since I was going to that part of the world I took a week’s off to stop over at Delhi. This itinerary worked perfectly for our family as Deep could manage Vir at home in Delhi with his parents while I was off to Thailand. Also our son could meet our family members, and get the blessings of his great grandparents. When one travels to India especially for the first time with a baby there has to be a plan in place. From the Flight to the Baggage, to the Baby gear to the Stay, everything needs to be well planned ! In this blog post I will share with you my experience on flying with Vir on a 21 hour flight from Houston to Delhi and way back, which turned to be 30 hour door to door journey both ways. The Preparation! 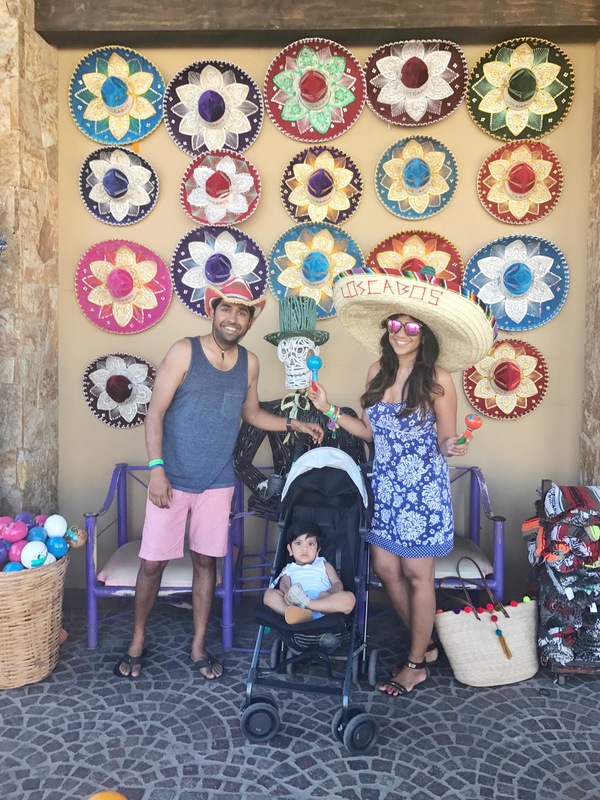 – Thankfully Vir’s passport was ready before he turned 2 months, and I was able to plan this trip. Once I was informed about my travel, I immediately applied for Vir’s E visa to India (which was applicable for a single entry only for a 30 days period. I intend to apply for his OCI card soon) Our tickets were booked 2 days prior to our travel. Due to the last minute bookings me and Deep were unable to get seats together in Premium Economy with United. However I was glad to at least get a bassinet seat after a lot of coordination with United’s customer care. 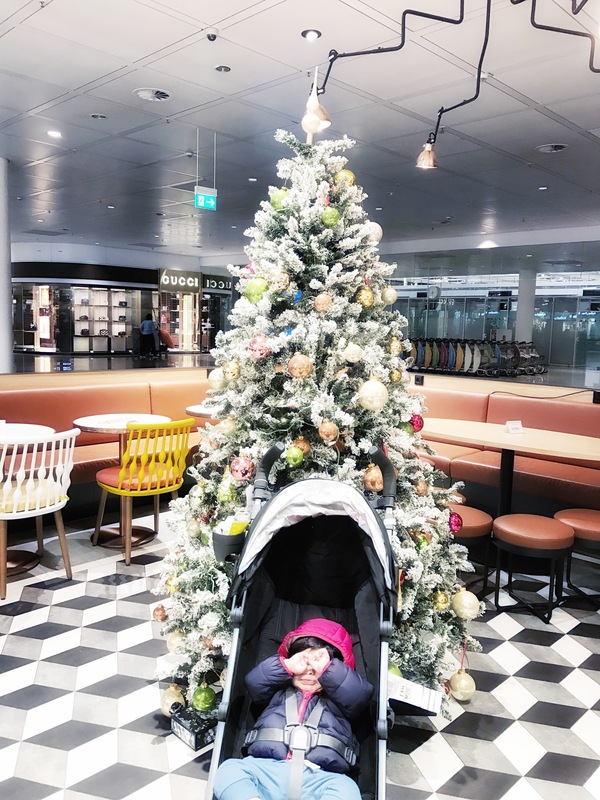 I have to tell you that it was very painstaking task and until I sat on my seat on the flight, I wasn’t sure if I will have a bassinet in front of me. I made a checklist of all items I needed in India for Vir and packed the luggage accordingly. Since I had to be away for 5 days I was glad that I had slowly started introducing formula to Vir while breast feeding. Thankfully he was accepting both breast and formula at that time and feeding was not one of my worries. For a 2 week vacation we managed to fit in all our stuff in 3 suitcases and 1 carry on. Among the few home chores, we arranged boarding for my fur baby Rio at a local pet home, stopped all the mails for the 2 weeks we were away at the local post office center and got rid of all the perishable food from the refrigerator. Baggage: I made it a point to travel light and carried only the important items needed for Vir. Between me and my husband we had one carryon bag, a boppy pillow, an umbrella stroller, a diaper bag and a backpack and 3 check in items. The carry on and my diaper bag had all baby supplies. Security and Boarding: Even though we reached the airport 3 hours prior to our boarding, I was delayed by an hour at security check. I was patted down twice by 2 different officials due to the alarms on my swipe test. Since I had to carry Vir in my arms, I had to use the walk through metal detectors, due to which they had to swipe my clothes and my hands. And every time they tested it, the machine would sound the alarm. I still don’t know why that happened, but they say it could be due to the use of lotions and hand sanitizers. One of the perks of being a parent is that you get to board first and that was a relief! We gate checked Vir’s stroller each time while changing flights. Bassinet Seating My Nightmare: My fear of not having the bassinet seat came close to being a reality!! As we boarded our long leg flight from New Jersey to Delhi I saw that we had just 1 bassinet in front of the 3 bulkhead seats on the plane!! And to my disbelief I had to share the bassinet with another mom for the entire 14 hour journey. Once the air hostess attached the bassinet in front of us she informed me that it was in the name of the other mom, and claiming subtly that the bassinet is hers. 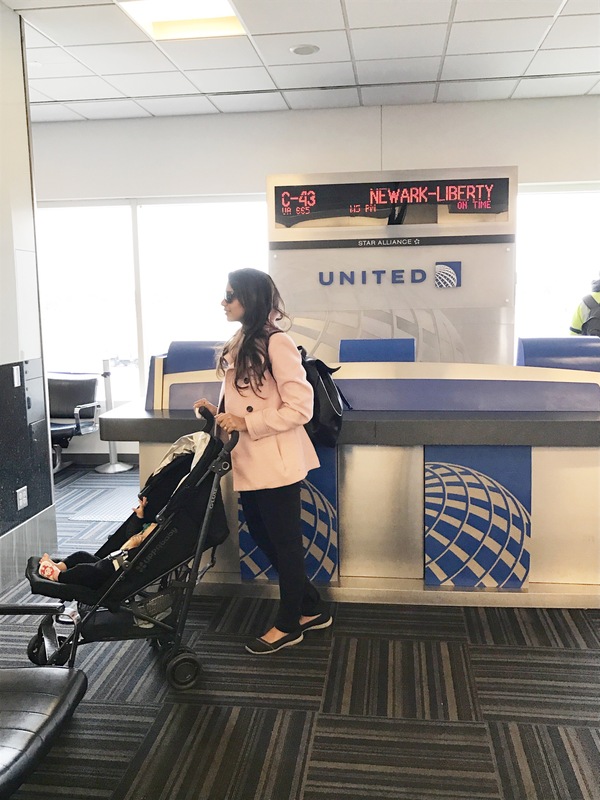 I couldn’t believe the inefficiencies in the system at United and the ignorance of the customer care and the gate managers, as none of them informed me on the bassinet seating policies and arrangements even after checking with them several times. To add to my misery, the flight was full, due to which me and my husband didn’t get to sit together either. Vir ended up on my lap the entire flight, except for that one time when I got the bassinet to use the restroom. My loving son was truly an angel the entire 14 hour flight; he didn’t fuss at all, slept most of the time and fed properly. His cooperation made this crazy experience worthwhile and helped me calm my nerves. Now my nervousness of flying such a long distances with a baby is out of the window. Once we landed in Delhi we rushed to the immigration and were shocked to see no lines. I guess fewer international flights land at 9:30 pm. We also learnt that there we had to go for immigration check at 2 different windows as Vir holds an American passport. We were out of the airport in less than 25 minutes yet it still didn’t feel we were done, as we had another 1 and half hour drive from the airport to reach home. Flying back to Houston ! After good 2 weeks of stay, meeting with family members and indulging in a lot of Indian street food it was time to head back. Finally my good luck kicked in and we couldn’t have asked for a better flight experience on our return journey from India. This time I really didn’t care about the bassinet. I just wanted to be seated with my husband, so that I don’t have to hold my pee forever !! While we were checking in we saw that the fight was almost 80% full. That was amazing as it meant that we had the chances to get an extra seat apart from getting to sit together. We booked our seats in the center row purposely as there were 4 seats in that row, which also meant there was a good chance of getting a vacant seat next to us. Like I mentioned, my luck finally worked and we not only got to sit together but even got an additional seat for Vir between us on our first flight !! We changed our planes in Munich and requested the gate staff to see if they can seat us next to an available bassinet or upgrade us to the larger leg space seats or check if there is a row with an additional seat for Vir. (It never hurts to ask, you need to be patient and hopeful, something I say to Deep all the time). Thankfully, it worked again and we got an additional seat for Vir. I couldn’t believe that not only did I get to sleep for at least 6 hours, but also saw a movie (Life of Pets) and grabbed both dinner and breakfast on the flight!! If you follow me on Instagram , you would have seen on my stories, that post we landed in Houston we were stuck at immigration for more than 2 hours. I cannot explain how miserable it is to stand for that long with a hungry baby and I cannot understand why all security windows cannot be open when there are 6 international flights landing at the same time! We were glad to be back home as we couldn’t wait to meet our fur baby Rio !! This was an extremely tiring and long vacation for us. We cancelled all our travel plans for Christmas and New Years as I didn’t want to head back to the airport so soon and neither did we want to leave Rio again so fast. I have a Travel Goal of visiting minimum 5 new places in 2017. 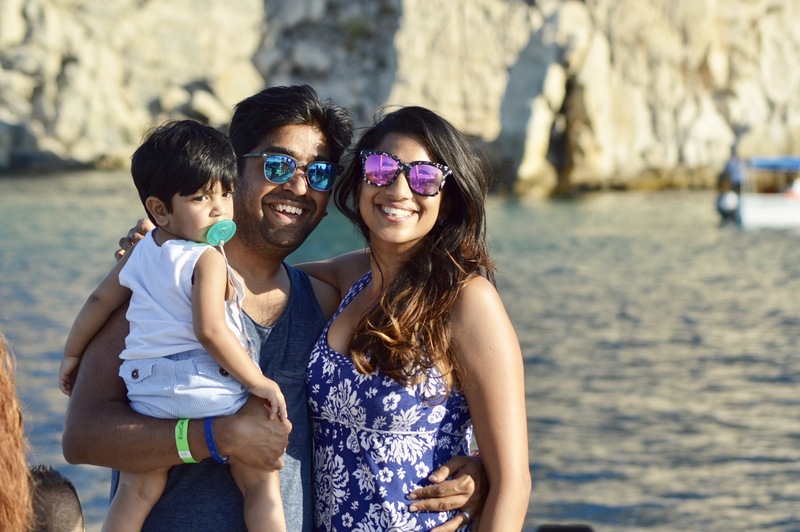 I want to get used to travelling with our baby and learn along the way and share my experiences, learnings and tips with all my readers- as I am hopeful it will help some of you!! Wish you all a wonderful 2017 ! !